Founded in 1999, Anewtech Systems is a leading industrial computing provider specializes in computer integrations and customization services. Our range of industrial computer boards, systems and peripherals have been implemented in thousands of applications and all recognized for its reliability. For clients concerned with incurring excessive personnel headcount for small-scale manufacturing projects, we offer comprehensive OEM/ODM services that aim to reduce customer’s turnabout time, thereby helping them to advance beyond their market competition. To be a world-class technology integrator and reach the “scopes of economics” by vertical integration and mass customization in industrial/ embedded computing and security/ connectivity arenas. Our objectives are to create value for clients and employees. We truly believe this can be achieved with a superior quality of services, caring for the team, and with a constant focus on technologies and innovations. All Anewtech products have been rigorously tested in the quality assurance and compliance laboratory to ensure high quality, durability, and compliance. All assembly are done in a static-free environment, follow on with stringent quality control at all stages: incoming, in-process and outgoing. Headquartered in Singapore, Anewtech has expanded into Malaysia (Selangor and Penang) and Vietnam. through our commitment to providing workable solutions with a core focus on our customer’s requirement. At Anewtech Systems, we believe that everyone has a talent, and that talent can make things happen. 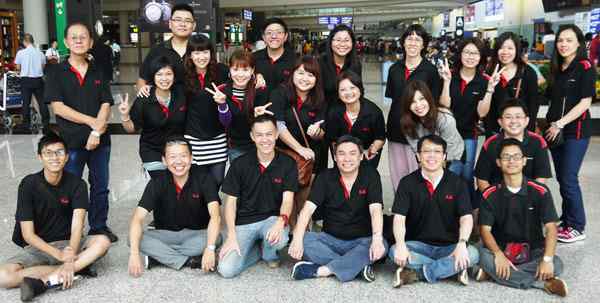 We promote work-life balanced, self-discipline and encourage teamwork culture.
" Our goal is to ensure we continue to create a conducive working environment for our staffs to grow with the company. We always bear in mind employees are our asset, and our objective is to create value for employees, customers, and partners."